The Aliceville Museum has grown from a single room in the Aliceville Public Library to a large facility encompassing three buildings, a courtyard, and a plaza area in downtown Aliceville. The museum has been in its current location since 1995. There are four main exhibit rooms and a large meeting space. The facility is handicap accessible. 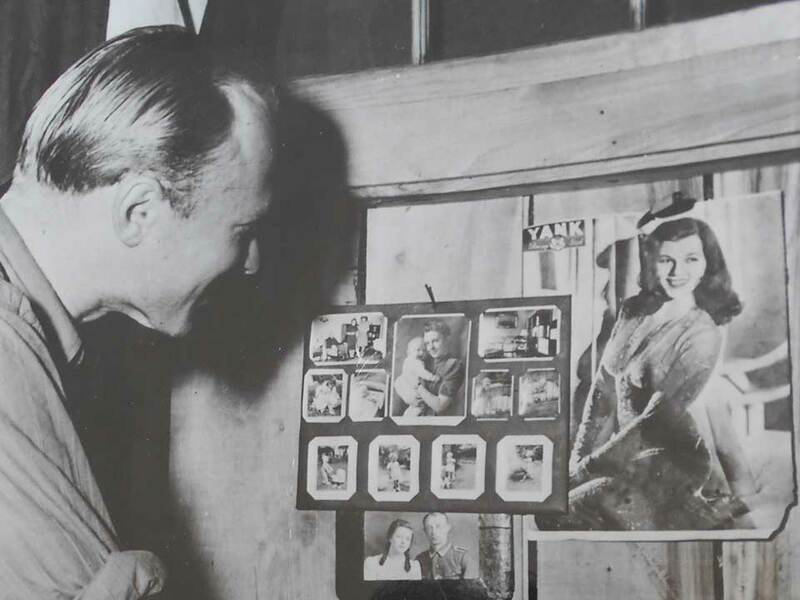 Army press photo dated October 4, 1943 showing a Camp Aliceville POW admiring a ‘Pin-up’ girl photo posted alongside pictures from home. 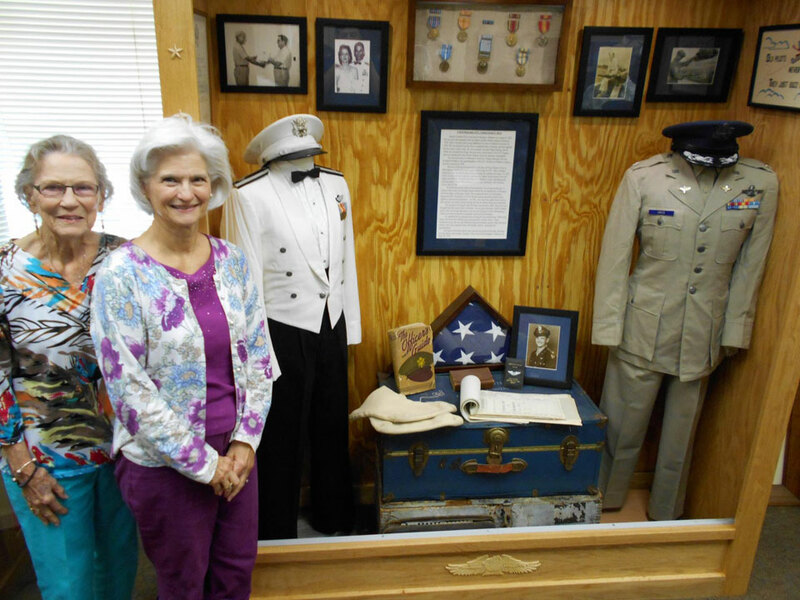 Elizabeth Davis, her daughter Carol Westbrook, with the American Heroes exhibit for Air Force Lt. Colonel Joseph F. Davis. All items in our exhibits have been donated by or are on loan from individuals or families from, or having connections to, Pickens County. We are always interested in obtaining additional items to enhance our collections. ​We are particularly interested in items and documents pertaining to Camp Aliceville or other POW camps, WWII military, and items relevant to the history of Aliceville and Pickens County including those relative to the African American experience. ​Contact the museum for information about how to donate or loan items. The Museum's gift shop features a variety of souvenir items including high quality tee shirts and sweat shirts, coffee mugs, and other items to remind you of your visit. There is a wide selection of books with works of fiction, poetry, short stories and histories by regional authors and two excellent books about Camp Aliceville. Additionally, the shop features a range of original pottery and jewelry produced by area artists, a line of beautiful greeting cards created by an Aliceville artist, and novelty items such as wonderfully scented handmade soaps and candles. 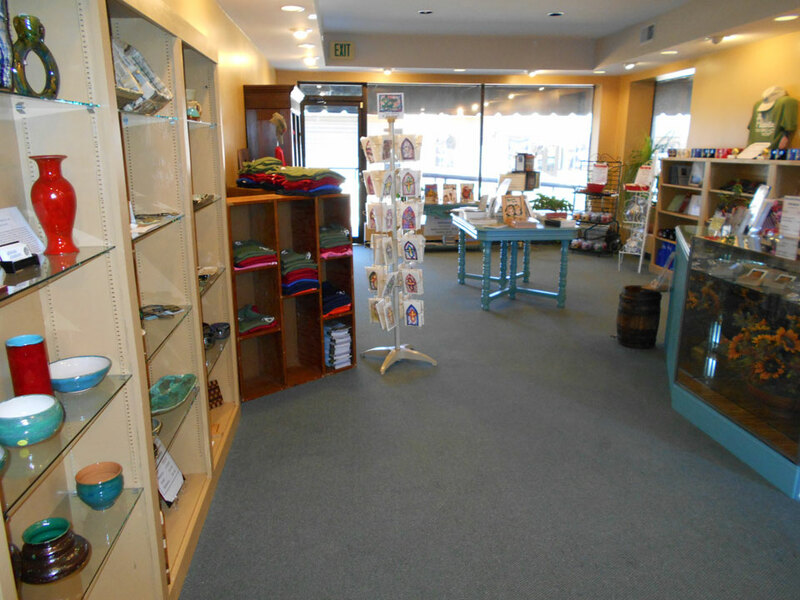 When you are looking for a one of a kind gift for a special person, visit the Museum Gift Shop! Be sure to visit the Museum's Shop for unique gift items!